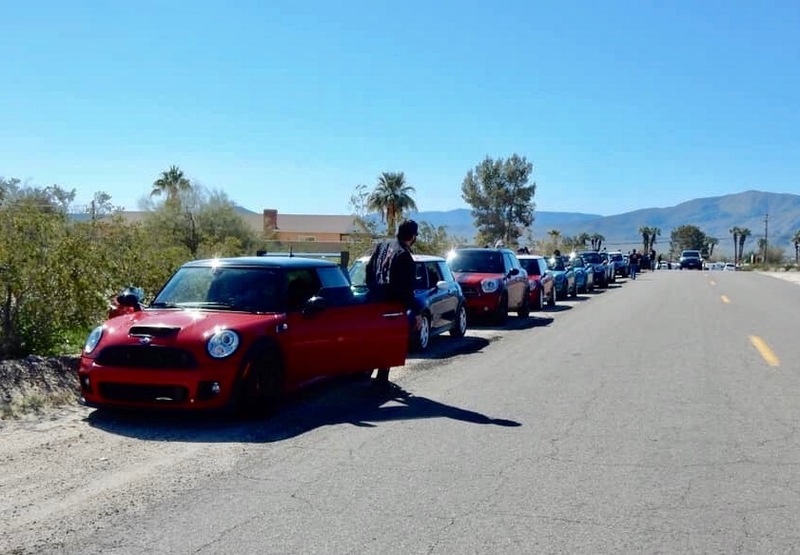 Last weekend, on a beautiful Saturday morning, 18 Minis – from SCMM and San Diego Minis- met up in Pala Mesa and motored out to the desert in search of wildflowers and the metal sculptures that abound around Borrego Springs. 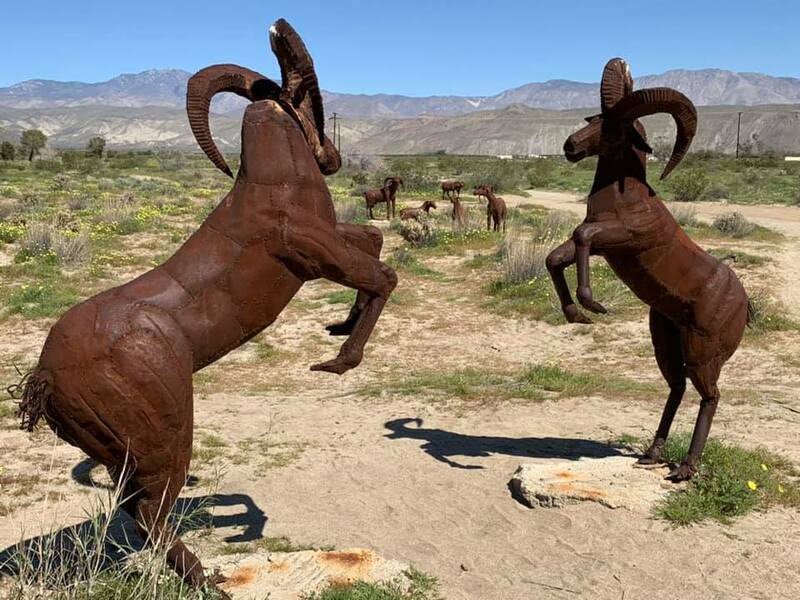 The story behind the sculptures is that a number of years ago, a wealthy landowner in the area decided it would be cool to have local metal artist Ricardo Breceda (‘Perris Jurassic Park’) create a series of sculptures and place them around Borrego Springs. The collection keeps growing, and today there are about 130 sculptures tucked just about everywhere around Borrego. Many of the life-sized sculptures depict real animals and mythical creatures. Very cool structures, all of them life-size, so you see serpents, dragons, horses, turtles, elephants, and on and on. You get the picture. It’s an amazing scavenger hunt if you’ve got all day (or weekend) to try to see all 130. We maybe saw a quarter of the collection. Many thanks to Andy Russell for putting the run together and keeping the group together on its way down to Borrego Springs. We also had the bonus of a very cool art fair that was situated in Christmas Circle in downtown Borrego. Many of the group were hesitant to venture down because of horror stories in years past about traffic jams from wildflower seekers, but it didn’t turn out to be bad at all. All-in-all a great event, and a great day!